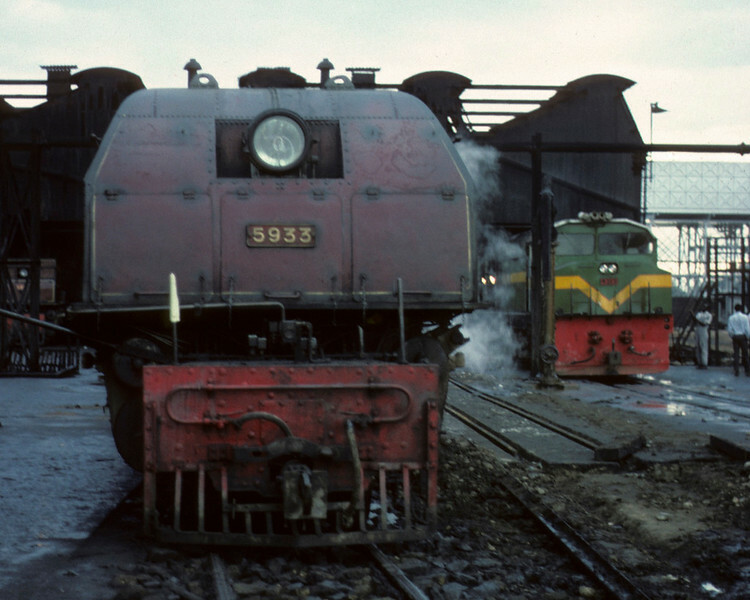 14 photos , five of Garratts 5933 and 5918 still in service in 1976, and nine at Nairobi railway museum in 1982. East African lines were metre gauge, whereas southern Africa used 3 ft 6 inches. East African Railways No 5933 Mount Suswa, Nairobi loco shed, 22 May 1976 1. Class 59 4-8-2 + 2-8-4, built by Beyer, Peacock in 1955. Photo by Les Tindall.